Které nejčastější otázky pokládají zkoušející u ústní zkoušky z angličtiny na téma Nový Zéland a jak na ně odpovídat tak, abyste získali vynikající hodnocení. Připravili jsme seznam nejvíce frekventovaných otázek hodnotitelů pro maturitní okruh Ireland a vzory odpovědí na jedničku. Tak si je vyzkoušejte nanečisto v klidu a teple svého domova na mobilu či počítači. 1. Where on the world map do you find New Zealand? Tell me about it. New Zealand is an island country located in the Oceania continent. It lies in the South Pacific Ocean, east of Australia. New Zealand is separated from Australia by the Tasman Sea. 2. Is New Zealand an island or an in-land country? Tell me about it. New Zealand is an island country. It lies in the South Pacific Ocean. The Tasman Sea separates New Zealand from Australia. The North and South Islands are separated by the Cook Strait. 3. What is the capital of New Zealand and where is it situated? Tell me about it. The capital city of New Zealand is Wellington. The first capital used to be Old Russel, then Auckland and since 1865, it has been Wellington. It is located in the south of the North Island. 4. Is New Zealand interesting talking about its countryside? Tell me about it. New Zealand is very interesting when it comes to its countryside. Everything can be found there- glaciers, volcanoes, sandy beaches, subtropical forests, high mountains and anything else you can think of. 5. How far is it from New Zealand to Australia? Tell me about it. New Zealand is 4,155 km far from Australia. They are separated by the Tasman Sea. It is about 3.5-hour long flight. When it comes to a boat, it depends on its speed. But usually, it would take two weeks. 6. 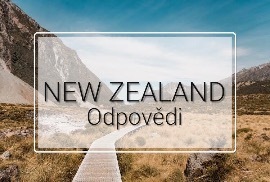 How can you travel from the Czech Republic to New Zealand? Tell me about it. From the Czech Republic, you would have to take a plane. The flight is at least 23 hours long, but it can take even 30-40 hours. It depends on the layovers. 7. Which typical things come to your mind when you think about New Zealand? Tell me about it. The first thing that comes to my mind is the beautiful nature with thousands of sheep. Then I think of the movies like The Lord of the Rings and the Hobbit. Another very typical thing is the war dance, called the haka, that is performed by the rugby team before every match. The dance comes from the Maori culture, the indigenous people of New Zealand. It symbolizes pride, strength, and unity of the tribe. 8. What is special about the mountains in New Zealand? Tell me about it. 60% of the South Island is covered by the Southern Alps. Mount Cook is the highest mountain. All of the peaks that are over 3,000m are located in the Southern Alps. The highest mountain of the North Island is Mount Ruapehu, which is 2,797m and is, in fact, a volcano. 9. Which languages are spoken in New Zealand? Tell me about it. English is the official language of New Zealand. Their dialect is very similar to the Australian English pronunciation. Another official language is the Maori language, spoken by the Maori people. Also, since 2006 the New Zealand Sign Language has been an official language. 10. Who are the original people of New Zealand? Tell me about it. Maori are the original Polynesian people of New Zealand. They arrived between 1250 and 1300. They make up 14% of the population. Majority of them live in the North Island. Maori people have many traditions, such as greeting each other by pressing their foreheads and noses together. 11. Who first discovered New Zealand? Tell me about it. Abel Tasman, the Dutch explorer, was the first European to discover New Zealand. He reached New Zealand with his crew in 1642. Four people from his crew were killed and at least one Maori was killed as well. Another visit by the Europeans didn’t happen until 1769. Captain James Cook came and mapped most of the coastline. 12. Is New Zealand an independent or a dependent country? Tell me about it. Yes, New Zealand is an independent country. It has governed itself since the 19th century. The Queen remains the head of state, but she is represented by the Governor-General. The head of government is the Prime Minister, currently Jacinda Ardern. 13. Which famous people from New Zealand can you mention? Tell me about it. 14. What is special about the culture of New Zealand? Tell me about it. Maori culture has influenced a lot of New Zealand’s culture. People of New Zealand are called the Kiwi people. When it comes to art, there is a lot of plastic art, such as carving, woodwork, and ceramics. The most popular music is hip hop, jazz, rock, country, and reggae. Some of the Maori music styles are called Haka (the war dance), Oro, Waiata. 15. Which movies were filmed in New Zealand? Tell me about it. Many movie producers and film-makers have chosen New Zealand to shoot movies there. It is mostly because of the beautiful scenery. Movies filmed in New Zealand: The Lord of the Rings trilogy, King Kong, The Last Samurai, Avatar, The Chronicles of Narnia, The Hobbit. 16. What is the climate like in New Zealand? Tell me about it. The climate of New Zealand varies. It goes from subtropical in the north to cool climates in the south. New Zealand gets many hours of sunshine. The mountains and the sea influence the climate the most. The summer temperatures vary from 21 to 32 °C. In the winter it is from 1.5 to -15°C. 17. Which animal is typically from New Zealand? Tell me about it. The kiwi bird is a very unique animal to New Zealand. It is also a national animal. Kiwi in the Maori language means “hidden bird.” Other animals unique to New Zealand are for example: Hector’s dolphin (world’s smallest dolphin species), Kea (the only alpine parrot), yellow-eyed penguins, Tuatara (the only reptile species from dinosaur era), fur seals. 1. Have you ever thought of travelling to New Zealand? Why? / Why not? Yes, I have. I have always wanted to go to New Zealand because it is on the other side of the world. Therefore, the scenery is very different, so are the people and cultures. It would be interesting to spend some time there, but it is quite expensive. 2. Which facts amaze you about New Zealand? Tell me about it. There are many interesting facts about New Zealand, but the ones that amaze me the most are the ones about animals. There are so many species that live only in New Zealand. Also, there are no snakes in the whole country! 3. If you travelled to New Zealand, would you consider having a job there? Why? /Why not? I have never really thought about it. But I think it would be fun to work there during the summer or get a job there for a year or so. I could earn some money and also travel the country. 4. How much is a flight ticket to New Zealand? Tell me about it. The flight tickets to New Zealand are quite expensive. But no wonder, since the flight is more than 22 hours long. 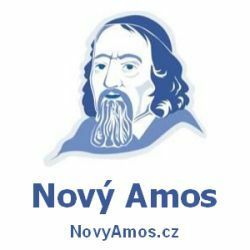 The prices depend on the date and the cities we would like to fly to, but it is usually around 20,000 CZK. 5. Would you like to spend some time with the Maori people? Why? / Why not? Yes, I would like to spend some time with the Maori people. They are known for being very nice and welcoming. It would be interesting to get to know their customs and traditions.